Goodness me, is it Friday already? Well, here are two more free games that are worth playing. First up is Microsoft Flight. For almost 30 years, Microsoft has published the very serious Flight Simulator, but it's not canned that and replaced it with Microsoft Flight. It's designed to be playable on pretty much any PC and by pretty much anyone regardless of their level of interest in simulation. You can just pick it up and play with a simple, almost arcade-style level of control or delve deep and play with a complex flight model and perhaps several hardware accessories like flight sticks and instrument panels. It'll be fine. I've totally got this. Okay, so it's free to play, but just how free? Well, you get one Hawaiian island to fly over and one plane. 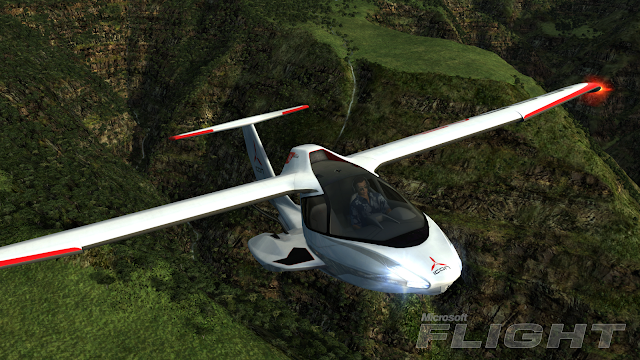 If you bother to use the hideous Games for Windows Live, you get a second plane. If you want anything else, you need to reach into your pocket and start paying. It's quite pretty, or at least your aircraft and the sky are. When You get close to the ground, textures get a bit blocky, even on the highest detail settings. Personally, I scaled back the graphics to medium just to make loading times quicker. You can play with just the mouse and that kind of works okay, but you're better off with a joystick or a control pad of some kind. I played with my cheap Chinese PS3 knockoff controller and it worked beautifully. It does have a tendency to say stuff like "Press button 8 to lower the landing gear" which leaves me struggling to work out which one on my controller is the right one, but you soon get the hang of it. Do not try playing it on the keyboard - I initially did this and found massive input lag, making it unflyable. 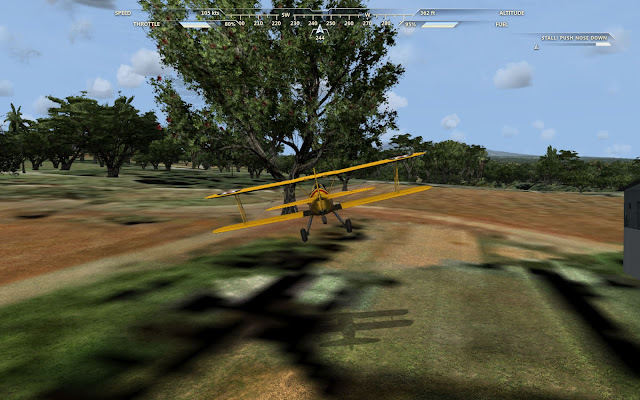 If you haven't played a flying game for a while, then pick it up and have a go. There are missions to fly (go here then go there) and challenges to complete (flying through hoops mostly) as well as the more fun aerocaching - this relies on you finding a location through only basic information and may require you to search for clues online. 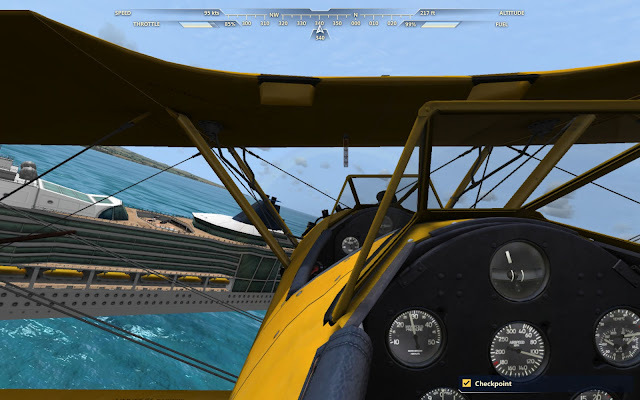 Flying under low bridges and buzzing ships and buildings is a hoot, especially when your instructor tries to tell you not to. But if you want anything deeper, then you're going to be shelling out for those Microsoft Points. It's clearly been designed to be playable on a console (isn't everything these days?) but that's not necessarily a bad thing. Do you remember Uplink, the hacking game? Oh, I loved that one. It simulated hacking a a sort of movie-style manner whilst still being technically semi-realistic. I loved the graphical style too. Well here's a free alternative. Hacknet is, if anything, somewhat more based in reality than Uplink and it's really rather charming. The interface isn't maybe as as slick, but there's a lot more to it. You can have really jolly fun pretending you're hacking through computer systems, Hollywood-stylee. "I'm just bypassing the firewall!" and "I'm re-routing the subnet through a proxy" are fun to shout out whilst you hammer away at the keyboard. Ever notice that in films no one ever hits the spacebar or uses the mouse? There's really not much more I can say about this one without giving the story away (and there is one) and it's kind of hard to show screenshots of screeds of text and graphs, so I'm just going to leave it there and suggest you get it. It's only 23MB and it's free, so what are you waiting for? "Ever notice that in films no one ever hits the spacebar or uses the mouse?" Will have to try out Hacknet - and laughed out loud (I refuse to use the acronym) at the picture captions. Nice reviews.